Color infrared IP camera with true plug and play technology, no router configuration needed. The WD-IPCAM makes it quick and easy to view live video anywhere you have smartphone access. The camera also has a built-in micro SD card recorder and 11 infrared LEDs for a night vision distance of 20 feet in total darkness. 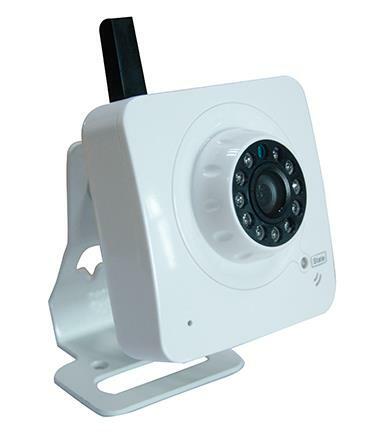 Video recoding can be set to continuous or only on motion with a motion detection range of 25 to 30 feet. Notification of motion events can be sent to your phone and you can also playback any recorded video on the SD card remotely. The WD-IPCAM also has a built-in microphone and speaker so you can listen and talk back from your phone.